The detention of Neil Prakash is of significant interest to Australia but perhaps less so for other countries. At this point, so little is known among open sources about the circumstances of his capture that it is difficult to make definitive statements about what it means. There are certainly many upsides, but perhaps not as many as the public assumes. Prakash was not an operational commander or senior figure within Islamic State and therefore his insights into much of the organisation will be limited or non-existent, however there are still multiple potential benefits from his capture. Building a coherent intelligence picture often involves piecing together enormous amounts of information from multiple sources, so whatever he gives up under questioning is likely to help in clarifying some piece of the Islamic State puzzle. The first intel sought would be the circumstances of Prakash's arrival in Turkey: how he got there and, if it was with the help of IS, how the smuggling network functioned; what type of documents he obtained, and how; and, most importantly, what was his intended destination, contact and future role. Depending on when he was detained, that information may already have been gleaned and acted upon. Now his detention is public, IS will have shut down whatever network was being used. Also important will be the exploitation of whatever electronic devices Prakash had with him to shed light on the terrorist networks with which he may be associated. And of course there is the whole question of his input into IS’s social media strategy, an arm of IS that has been significantly degraded but that is still fascinating, if only for its ability to attract recruits and inspire plots. Its importance as one of the coalition’s targeting lines of operation is evidenced in this NYT piece that was the first to publicly reveal Prakash’s detention. The most important aspect of his detention is that it removes an active online jihadi recruiter and promoter of terrorism. Prakash first surfaced in public in the English-language Islamic State recruitment video 'There is no life without jihad' released in July 2014 featuring British and Australian jihadis (his non-speaking part is at 7:35 on this video). He went on to promote himself as a mirror image of those who he sought to recruit. His story was that he was an outsider in mainstream Australian society (just as his targets felt themselves to be) but he found meaning from Islam, gained a family amongst his Muslim brothers, and, in the vision he portrayed on social media, empowerment through the barrel of a gun. Also in his account is rejection of both the Australian government, that stopped brothers undertaking hijra (travel to fight with IS), and of Australian society that attacks Muslim women. It's a simple, easily understood story. But narratives need either a happy or heroic ending to be enduring. Prakasch is now detained in a Turkish facility and likely to be extradited by the country he betrayed to be put on trial and judged by 12 kuffar (unbelievers). It is not the ending he likely envisaged. His social media profile and penchant for appearing in Islamic State videos should make his prosecution relatively straightforward compared to other foreign fighters who have tried to maintain low profiles in order to make gathering admissible evidence as difficult as possible. 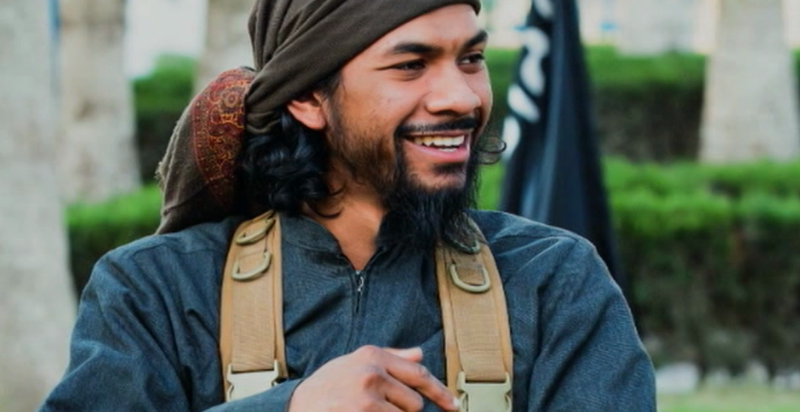 And while Prakash’s detention is a welcome, if small, tactical victory, the most senior Australian jihadi operating in Syria, whose capture would render a much greater intelligence bonus, the al-Qa‘ida aligned ideologue Mustafa Faraj (aka Abu Sulayman al-Muhajir), remains active. Whether Western authorities get to him before he is killed remains to be seen.